Here is a full transcript of the interview Tom Bradby of ITV News did with and Prince William and Kate Middleton. The Australian Camp Oven Festival, the largest of its kind in the country, provides a biennial platform for competitive outdoor cooking, and teams have descended on the Millmerran showgrounds on Queensland's Darling Downs from all over Queensland and New South Wales, not only to compete, but to display their skills and techniques to the general public who are here in their thousands. Today on English Bites we're asking people about their houses. Are they big or small? How do you describe the place where you live? In recent years, book clubs have become very popular in Australia. In South Australia, they've got a very big book club that includes people from all over the state. 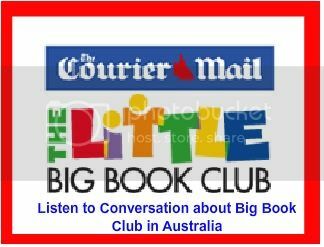 Each month The Big Book Club selects a book and organises with that month's author a book tour to New South Wales, South Australia, Western Australia and Queensland. Please see below for confirmation on the author's tour and event details. Today we are re going to meet another student from the University of Adelaide. Listen for some of the words she uses. This Video will help you practice some questions: Such as: What's your name? How old are you? What 's your Address? What is your� telephone?